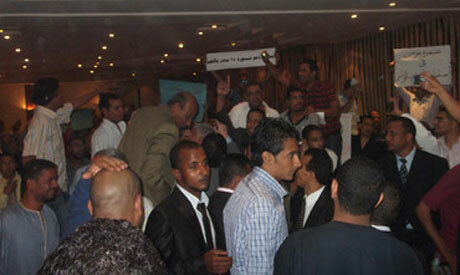 The fistfight erupted shortly after Moussa finished his speech. Both sides used chairs ‎and bottles against each other, which resulted in several injuries. Military forces later arrived to evacuate the crowd. At least six people were hospitalised.